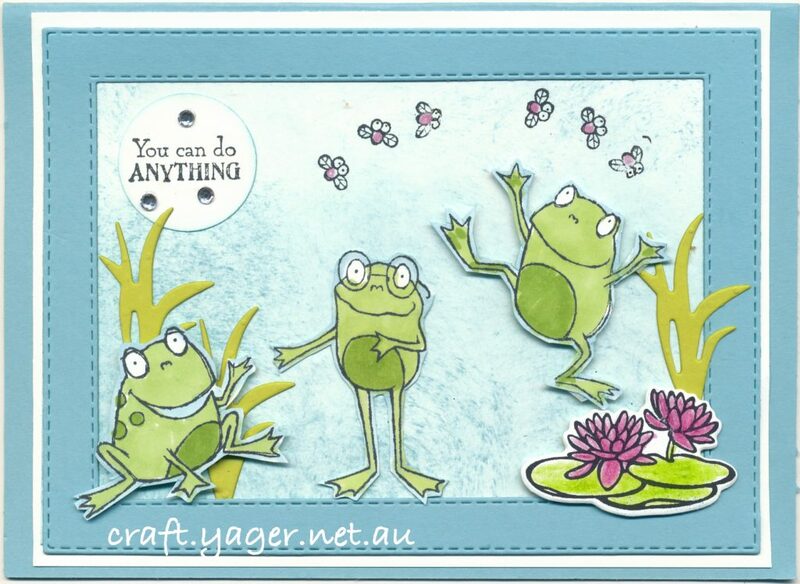 Having used ‘Lilypad Lake’ for my blog yesterday, I had an idea for using the ‘So Hoppy Together’ set for my next card and combining it with Lakeside Framelit Dies and the lily pad from ‘Lilypad Lake’. The ‘So Hoppy Together’ stamp set is free with a $90 order. I used Balmy Blue Cardstock for the base and the stitched frame. I cut a piece of Whisper White cardstock to fit behind the rectangular framelit and sponged it with Balmy Blue. 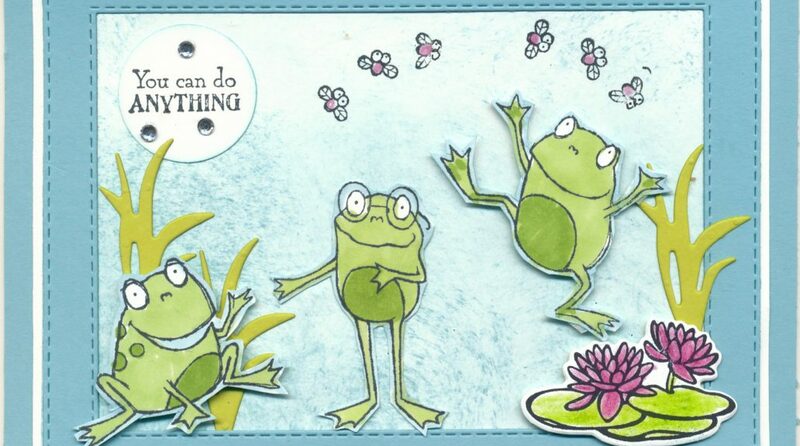 I also stamped the frogs and the Lily pad with black Memento ink and coloured them in with the Stampin Up Blenders in Light and Dark Granny Apple Green. 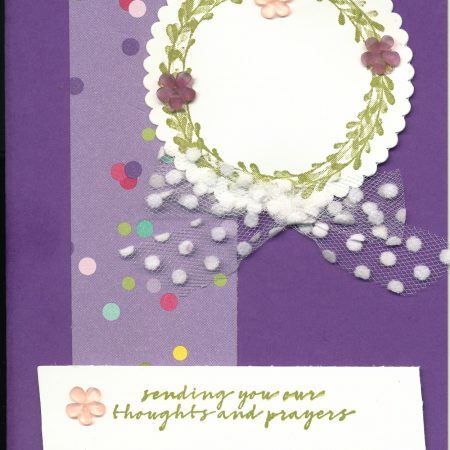 I then fussy cut them and decided where I would place them on the card. 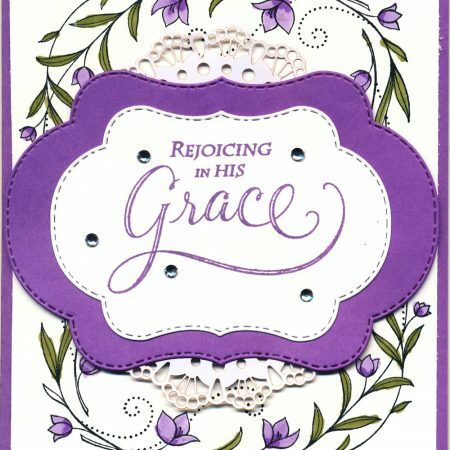 Some are glued on to the card and some are raised on dimensionals. I die cut come reeds and stamped the sentiment. I used a small circle punch to cut it out. 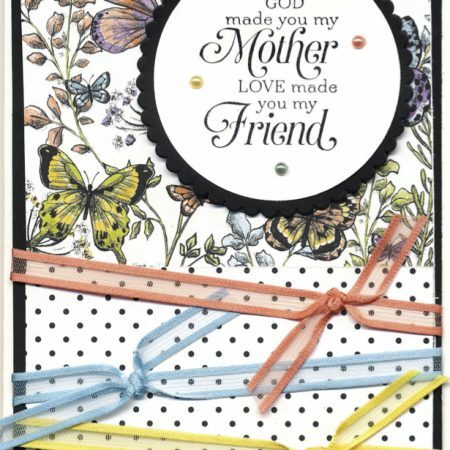 I placed the ‘frame’ on Whisper White cardstock and glued it down on the base adding a few basic rhinestones to the sentiment. 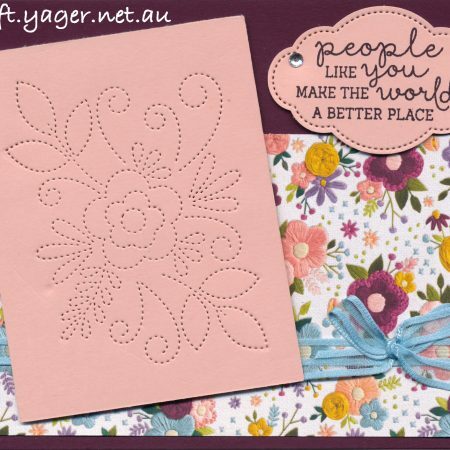 I really love the effect of the rectangle framelit dies and the dimension it adds to the card.